These new laws that were brought into effect on 01 July 2016 promote the integrity in the Local Government electoral process. 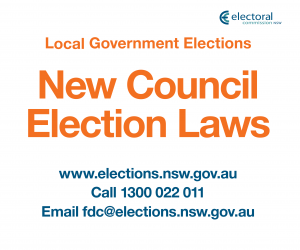 Electoral Funding and disclosure laws are administered by the NSW Electoral Commission. This information has been sourced from the NSWEC. 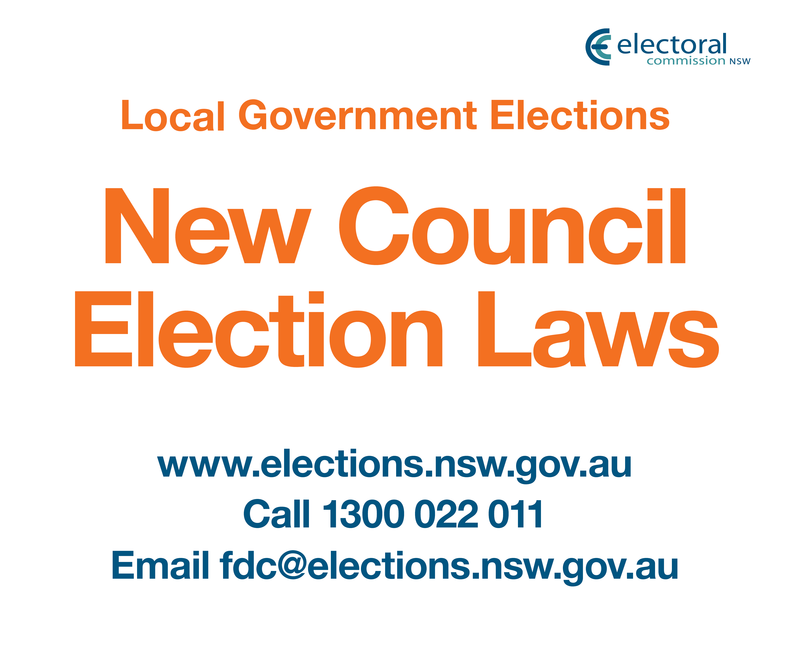 For more information you are directed to the NSW Electoral Commission local government event website www.elections.nsw.gov.au/fd for any enquiries regarding their funding and disclosure obligations.